This, however, leaves a very big job for your CIO or whoever you have filling this role as lead manager and securer of your IT infrastructure. You may have the latest software and hacker defenses but every business IT infrastructure also needs to be constantly streamlined, optimized, and monitored so that it continues to serve the business in its most efficient, reliable, and secure capacity. 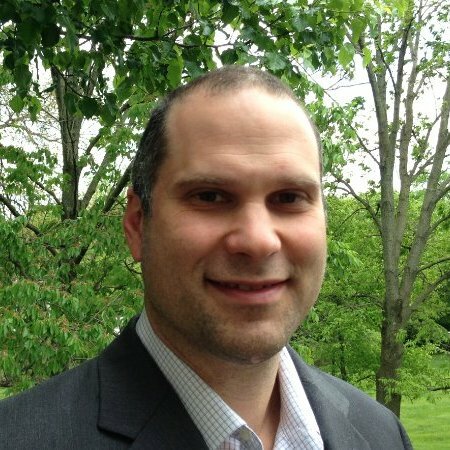 Needless to say, taking care of an enormous IT infrastructure is an equally enormous job which is why so many CIOs turn to network monitoring, availability monitoring, and IT infrastructure monitoring. These professional services have been available for at least a decade and in that time have been honing their software and ability to provide active, responsive monitoring service. IT infrastructure monitoring, in particular, is an incredibly powerful NMSaaS (network monitoring software as a service) that can significantly improve the efficiency of the CIO themselves in keeping track of, managing, and optimizing their company's network. 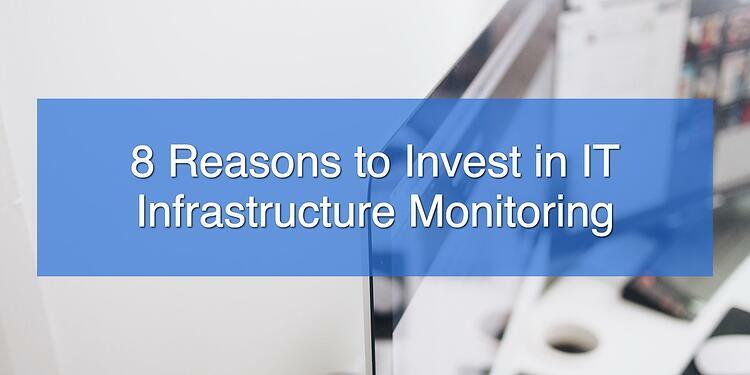 Here are just a few of the benefits of working with IT infrastructure monitoring. One of the greatest things about any kind of network monitoring is its ability to bring so many disparate pieces of information together into one useful dashboard that can include almost any information you desire about the state of your network. IT infrastructure monitoring keeps an eye not only on your network activity and the availability of your website, the software can watch everything both physical and digital about your network. It can tell you how hot the servers are running, the resources in use on each server, and the traffic zipping between points on your network. In other words, an IT monitoring software service can take a great deal of information a CIO might want to keep track of into one useful dashboard UI design allowing you to effectively tend the network in its current state and watch for any signs of high traffic distress, dropped web pages, suspicious network activity, or simply keep an eye out for any problems on the horizon. Which leads us to our next point. Once a CIO or expert technician in charge of the network can see all their data neatly organized, it becomes a lot easier to catch when something is out of the ordinary. Rather than drowning in a mountain of raw data, the monitoring software conveys its monitored information in a way that reveals hidden patterns and problems even before they happen. Let's say that one of your server's memories is slowly filling to the brim due to an over-active logging function in one of your many pieces of business software. IT infrastructure monitoring would be able to help you catch this simply by alerting the admin to the fact that one server has passed a much higher percent storage capacity than the other matching servers that should be sharing the burden. Or your IT infrastructure might be able to spot the effects of a bug in your latest website update long before a customer actually sees it. The ability to catch problems before they happen can make your CIO seem like a psychic but in fact, it's just working well with their IT infrastructure monitoring system. Every business today is hungry for data-driven insights. These are tidbits of useful information that can be gleaned by computers from mountains of not-so-useful data and may reveal something about how to better run your business. IT infrastructure monitoring can, for instance, note the time everyone turns on or starts using their workstations. It can keep track of how hard your website works during the peak visitor hours and how well the load is being distributed. IT infrastructure monitoring can also provide something few services can, a clear look at how effictive the current IT efforts really are and how much improvement has been seen in certain data points over the time that the most recent strategies have been implemented. For most companies that try to keep their backups regular, the biggest disasters are those that happen in an unlucky sequence. Backups do not always 'take' correctly and it's even possible that your backups server can completely fill up with backups and refuse to save anymore. Either through corrupted files or full disk space, if something happens to your network in a time period in which your last backup was not saved, then you'll have to restore from a much older backup thus losing days to weeks of work and will then need to fix whatever is wrong with your backup system. However, with IT infrastructure monitoring, your backup process is just another digital aspect of modern business that can be monitored. Your monitoring system can recognize a 'business as usual' backup come through the network and never worry about it. However, the moment that process changes, the monitoring system can flag an IT admin to come tend to the situation and re-initiate the backup process. This way, you never have to miss a backup by more than a few hours and in many cases, the IT infrastructure monitoring will catch an impending problem before it can interrupt your automated backups. Keeping track of an entire large and/or tech business network can be a lot of work, especially if you're trying to do it all manually. Many IT departments and teams have been fully occupied just making sure that everything was online, that the website was not at risk, and seeking new ways to optimize the network. Not to mention providing IT support to employees when they can't access their email or use a new piece of software. However, with IT infrastructure monitoring, you take several of your in-house IT technicians off of the tedious but necessary task of watching for suspicious or problematic network activity. Instead, let the software take care of most of the work with your IT team ready and waiting to solve any problems that the monitoring service doesn't already have a solution for. This frees up your IT professionals to actively work on improving the network, upgrading the pieces, and keeping the physical machines in your business in good working order. Speaking of improving and upgrading, networks don't maintain themselves even with excellent software that monitors and offers useful insights. When it comes to updating the software, adding new pieces to the stack, taking out old pieces, or simply reconfiguring for optimization, this is something only skilled IT professionals can do. But they can do it a lot faster and easier with IT infrastructure monitoring. The monitoring allows your employees to keep a live 'feed' open on the state of the network as they change things around. The depth and detail of data available can help your IT team scope out the right days and actions to improve the network. You will already have a clear idea of where there are 'trouble spots' that are less efficient than the could be and other areas where the configuration is delicate and may need some careful work. IT infrastructure monitoring allows any IT team to plan better upgrades and changes because they have more information on the environment in which they work. Another very useful aspect of IT infrastructure monitoring services is the ability to watch all of the network and internet traffic that flows through your network, and in and out of the network through an internet connection. While many employers can immediately see the benefit of detecting when employees are 'surfing' instead of working or visiting questionable websites, IT infrastructure monitoring is actually more important as a way to repel and detect hackers. When a hacker tries to access your network through a 'backdoor', monitoring can detect it and actions can be taken. Even if a piece of sneaky malware has already slipped into your network, it's unusual activities and resource use can be noted and used to locate the lurking program. Finally, it may sound odd IT infrastructure monitoring services can actually reduce the amount of money you're spending on monitoring overall if done correctly. Many SaaS companies offer a limited amount of network monitoring, often at a fee, as part of their services, but these are usually only for very small monitoring tasks like the availability monitoring 'ping' every few milliseconds. If you are already paying for small-fry monitoring services, investing in IT infrastructure monitoring allows you to drop them for the savings of an all-in-one monitoring program which effectively lowers your budget by adding a new solution.